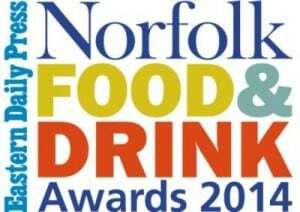 August 2014 – Aston Shaw is proud to announce that we are sponsors of this year’s Norfolk Food and Drink Awards, which will be held on the 15th September 2014 at the Norfolk Showground. Since our inception in 1969, we have recognised the pride and excitement that surrounds our local region when it comes to quality food and drink. There are 10 categories overall, featuring “Best Independent Food and Drink Retailer” and the “Outstanding Achievement Award” which are all judged by a panel of expert and independent judges. The awards will be hosted by the Eastern Daily Press and will run alongside the 10th anniversary of the Norfolk Food and Drinks festival. To see if we specialise in your sector click here. Or alternatively, to call your local office, visit our contact page.